For as long as the iPhone has been around, it’s always been known as strong gaming device, seeing that the App Store is riddled with plenty of top-notch titles to appease even the most serious of gamers. Even with all the glitzy graphics, hard stopping action, and immersive gameplay, gamers sometimes have to contend with on-screen controls getting in the way of the fun. 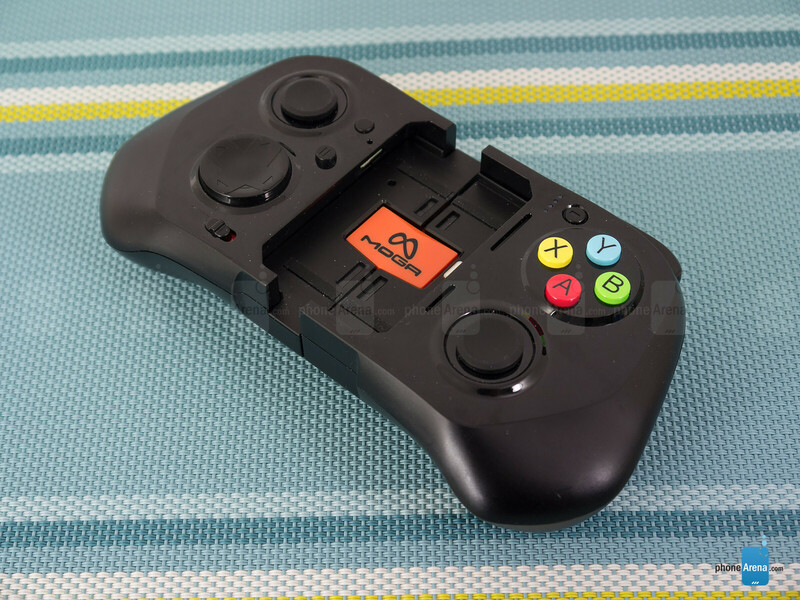 Fear not no more folks, since the Moga Ace Power Controller is hoping to be a savior to those long yearning for a decent gamepad solution. Don’t hold your breath for anything spectacular. For a $100 thing, it’s more toyish than anything else with its design. Glancing at the controller for the very first time, we’re a little bit perturbed by what we’re presented with. 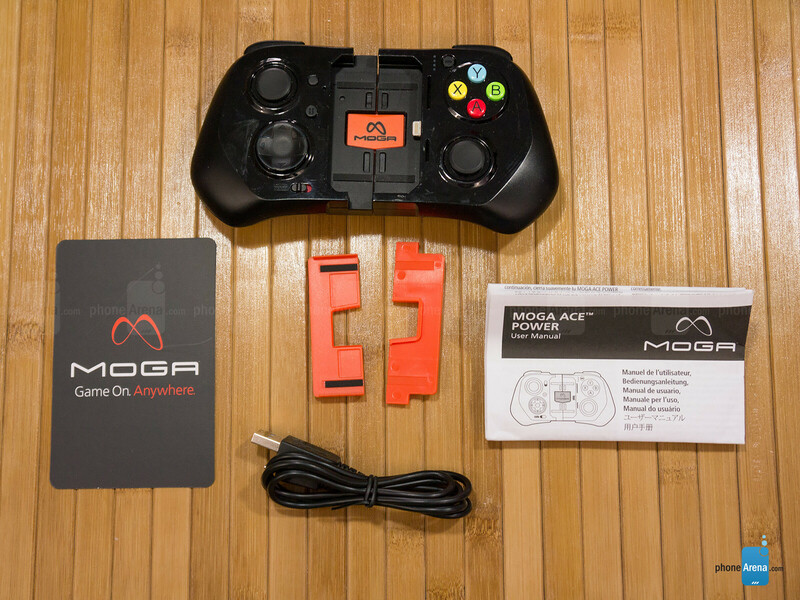 Underwhelming is an understatement to say the least, as we were hoping for a lot more out of Moga – more so knowing the kind of controllers they offer in the Android arena. 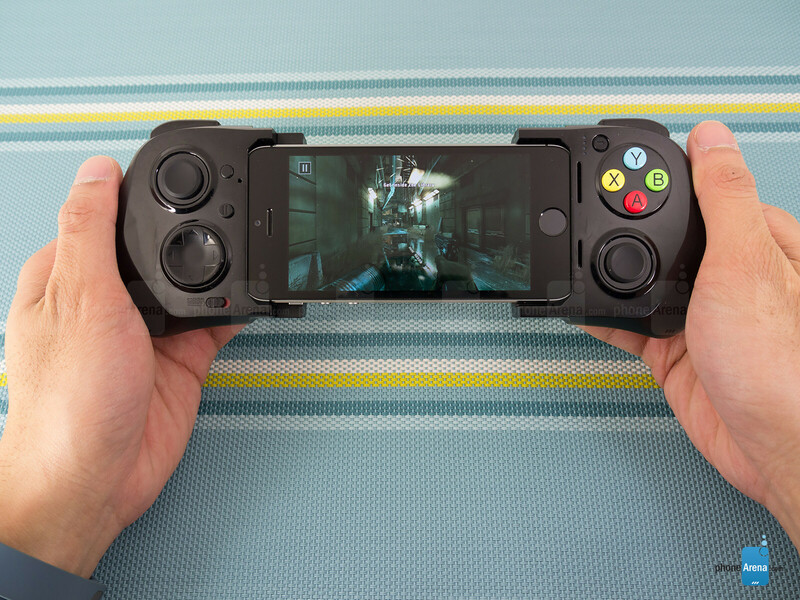 Rather, this iOS catering gaming pad has a design that looks more toyish than anything else. 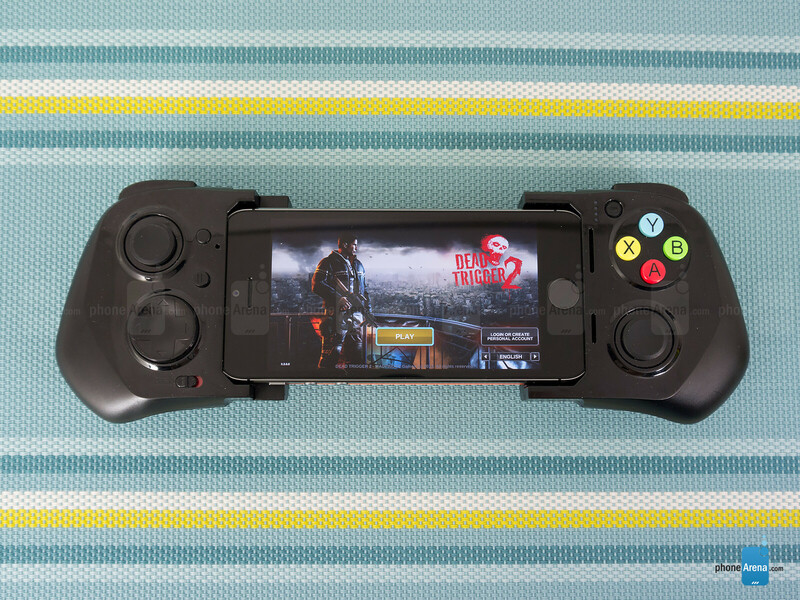 Evident by the low profiled analog sticks, brightly colors face buttons, and its wonky construction, the design of the Moga Ace Power Controller just doesn’t do justice for the iPhone – the iPhone 5, 5c, or 5c in this case, as they’re the ones supported by this gamepad. Sure, the collapsible aspect helps to give it a compact and travel friendly nature, but the entire package just comes off as elementary. Comprised entirely out of plastic, which helps in making it lightweight, it’s the cheap variety that results in giving it a hollow feel. In its closed form, the size and feel in the hand are reasonable enough to put it in the same boat as some past 16-bit controllers. However, it’s not meant to be used like that because we’re required to expand the thing in order for it to accommodate the iPhone. Depending on what iPhone we’re using, it’s held in position by these two plastic placeholders. Much like the other controllers from Moga’s portfolio, we’re thankful at least to know that the layout between all of them is consistent. Therefore, this particular one features two analog sticks, a directional pad, 4 face buttons, 2 shoulder buttons, and two analog triggers. With the analog sticks, they’re not what you’d expect, as they’re more analog nubs than anything else – similar to the one found in the original Sony PSP mobile gaming console. The face buttons are tiny, but at least they’re responsive. 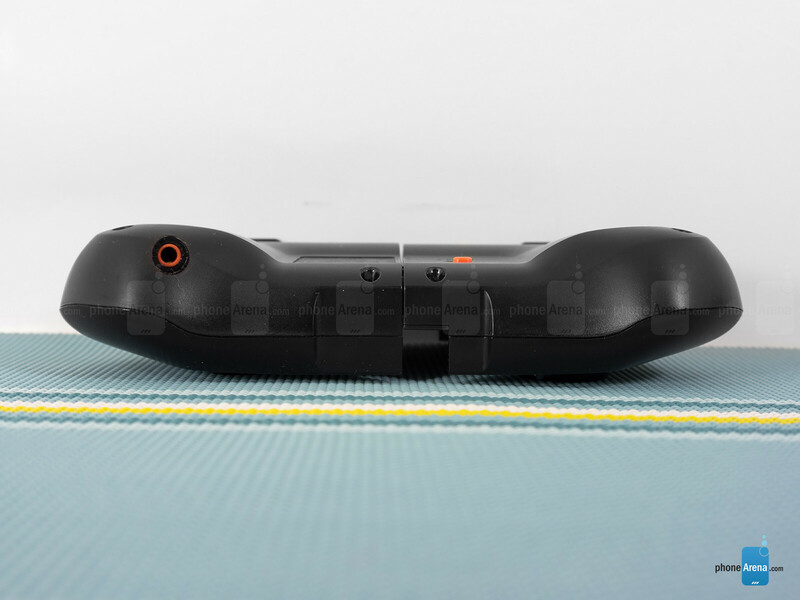 As for the directional pad, it’s more flat than anything else. Finally, the shoulder buttons and analog triggers are placed too near to each other, which makes it feel cramped as a whole. Having a small package is great when it comes to stuffing it in our pockets, but when it doesn’t make for the best experience for long-term game play. 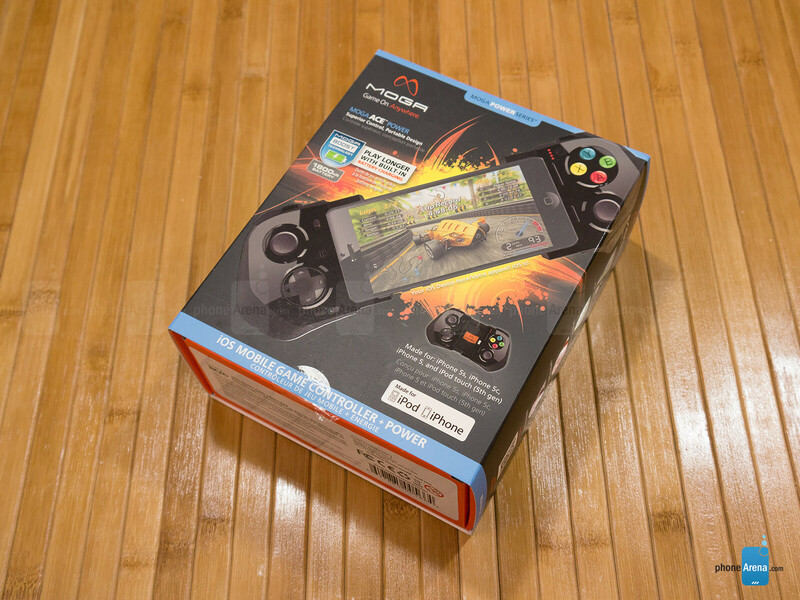 Instead of having that home console gamepad feel, the Moga Ace Power Controller reminds us more of a Sega Game Gear or Sony PSP – landscape oriented gaming consoles. Initially, it feels strange trying to grasp the controller, but after some practice, we’re better able to get a handle of it. However, after 15 minutes of playing, our hands get cramped due to its small size and the close proximity of its triggers & buttons.